For the record, I wasn’t in a sterile doctor’s office or opening a box of colorful balloons when I found out we were expecting a girl. I was standing in bright sun on a public sidewalk, strangers passing me by. My husband was on the other end of the line and my heart was racing. Tears welled and I laughed, “A girl! What are we going to do with a girl? !” After we hung up, I dissolved into tears of happy disbelief: finally, finally, we were having a baby! A courageous couple were making a choice to place their child for adoption and they had chosen us as the parents for their baby. Like pregnancy and birth stories, tales of adoption are varied and unique to each family. Adoption is a brave love. Yet adoption is also grief, upheaval, and heartache. The women making adoption plans for the children they give birth to are often overlooked in the fanfare of the newborn coming home to his or her forever family. Yes, there is deep joy when a child is adopted! But adoption is often birthed out of deep loss. There is a complexity here that must be navigated with thoughtfulness and compassion for not just the families bringing home a child, but for the children they are raising and for the birth families who chose adoption. I’ve had the honor of connecting with several women profoundly affected by the brave love of adoption. By no means will these stories exhaust the dynamics, opinions, or nuance of adoption. We could not possibly hope to cover every complex journey here. Yet we hope the voices of these women will bring light to the process of domestic infant adoption in a way that honors the stories of all involved. Rachel isn’t alone in this sentiment. The cost of adoption seems staggering: private, domestic infant adoptions through an agency or attorney can range from $20,000 to $50,000. When adoptive families are asked about the process, it can be difficult to explain and break down the cost of social work services, medical care, attorney and consulting fees, and post-adoption counseling. The wait for families hoping to adopt can range from a few months (or weeks!) to several years. For a family whose hope for a child has already been deferred by infertility, that stretch of time can seem agonizing. The United States legal system is designed to protect the welfare of children and while it isn’t perfect by any stretch, many families choose to move forward towards adoption with hope that they can be part of the solution. Any story of childbirth —any story of hope— requires more than just a glance at the paperwork. While there are mixed opinions on the handling of domestic adoption and orphan care, one thing is clear: Adoption isn’t merely a social and legal construct. Families hoping to adopt have different reasons for choosing that path. Expectant mothers and fathers make plans to place a child for adoption for deeply personal reasons. The contours of the stories surrounding adoption are unique to each case. Adoption is about real people making real choices. One birth mother, Audrey*, described what it was like to be facing an unexpected pregnancy and an uncertain future. The particular circumstances she and her boyfriend faced were painful, even frightening. When they chose to make an adoption plan, there was significant courage and heartache involved. Audrey and her daughter, now six years old, benefit from an open adoption, wherein they maintain a connection through texts and occasional visits. Though the shape of open adoptions can take many forms, many families choosing open adoption are finding the privilege and joy it is for adoptees and birth parents. We have found this to be true in our own home as well. My husband Cameron and I have two children through adoption. From the earliest days of discussing children, we’d considered adoption with naiveté, as though it would be a bonus. “We’ll have a few ‘homemade’ children, then some ‘specially chosen’,” we would say when asked. Until we faced infertility, adoption was a theoretical conversation piece. Three years into marriage, we bore the scars of multiple miscarriages and unexplained infertility. With the fourth miscarriage, we wondered if we were even supposed to have children at all. When the reproductive endocrinologist couldn’t give us clear answers, we faced the reality of our desires: we wanted to love a child. Suddenly the biology of the matter wasn’t so important. Our kids arrived in unique ways: a private match that we took to an agency brought our daughter home nearly seven years ago. Five years later, we matched with our son’s birthparents through an adoption attorney. The deep joy of loving our kids has assured us of our decision: these are the children of our heart, if not my womb, and the gift of adoption has made us richer. We have thoughtfully and intentionally walked into open adoptions with our children’s birth parents, which means we share pictures and texts of the kids, we video chat occasionally, and we’ve spent real time with them as well. Our hope is that our children develop a sense of wholeness and of being well-loved, as we nurture their understanding of adoption. Cameron and I stepped towards adoption believing that our desire for loving and raising a child was bigger than conceiving or sustaining a pregnancy. The reality is that infertility is a factor for many families walking the road to adoption. 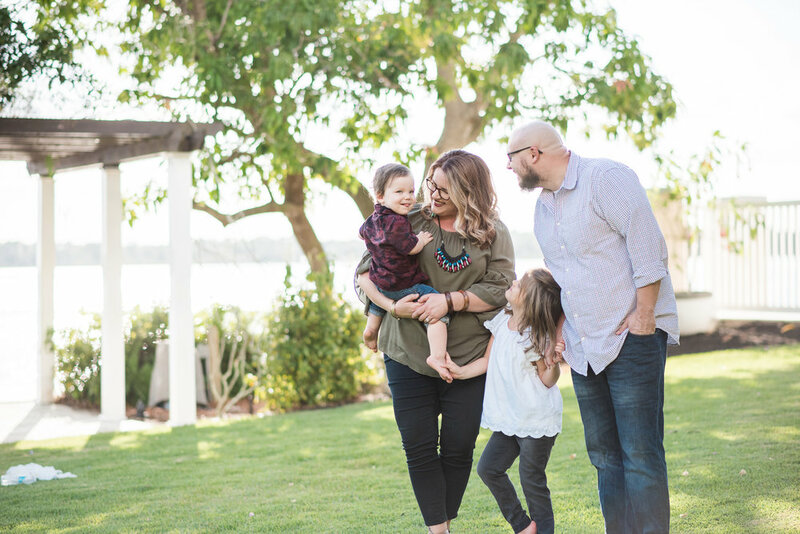 For Andrew and Brooke McDermott, the heartbreak of infertility and infant loss has accompanied their journey to grow their family. Their longed-awaited daughter Loreleigh was with them for a mere eleven hours, “before she gained her wings”, the family likes to say. Such grief is, of course, not exclusive to adoptive families, but is all too often a thread that connects us. There is a strength and hope born out of infertility and loss that binds the hearts of many adoptive families. Families across the country are choosing adoption, no matter how long it takes. We press on through infertility, through deferred hope and long waits, because we agree that children belong in families. We honor the beautiful women who choose to make adoption plans for the children they are carrying, seeing in them a well of courage and love. As one adoptive mom famously wrote, “A child born to another woman calls me ‘mommy’. The depth of that tragedy and the magnitude of that privilege are not lost on me.” Adoptive families welcome this complexity of tragedy and joy, seeing in adoption a story of redemption and hope. Families on all sides of the adoption equation are the beneficiaries of a singular choice: to love well, against all odds. Adoption is, indeed, a brave love.